Interweave and designers are at it again —“it” being making beautiful things and the new Knitting Traditions 2017 magazine is no exception. The fall issue takes us back in time to the Great Exhibition of 1851. With its technology, exotic craftsmanship, and steampunk stories, it was an event that inspired World’s Fairs for more than a century. The Crystal Palace, site of the Great Exhibition, relied on technological innovations to achieve its open, airy appearance. 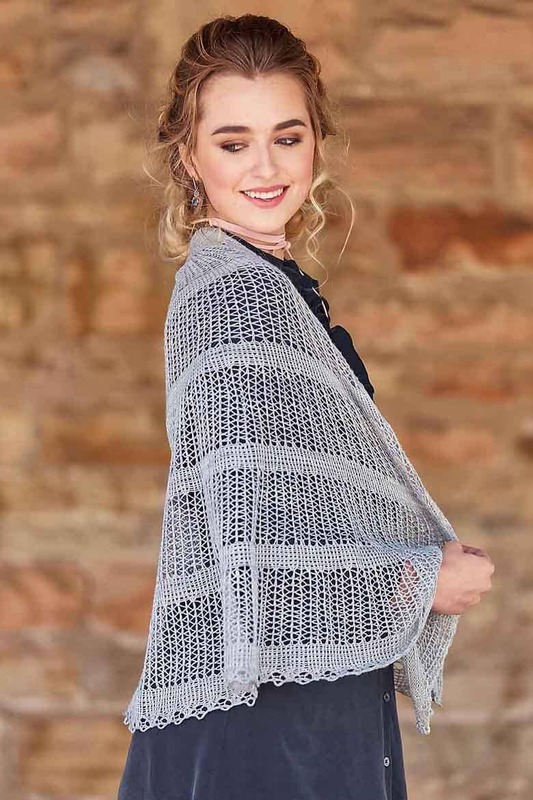 The shawl it inspired, designed by Mone Dräger and knit up in our delicious Merino Silk Lace, requires only knitting needles and beautiful yarn. Solid stripes alternate with panels of lace mesh to mimic the Crystal Palace’s famous entry hall. Finished Size 68” wide across upper edge and 31” tall at center. Yarn SweetGeorgia Yarns Merino Silk Lace (50% merino wool, 50% silk): silver, 1 skein. Needles Size 3 (3.25 mm): 32” circular. Adjust needle size if necessary to obtain the correct gauge. Notions Markers (m); size D/3 (3.25 mm) crochet hook; tapestry needle. Gauge 18 sts and 32 rows = 4” in Twisted St st; 18 sts and 24 rows = 4” in Lace patt. Note This shawl is worked back and forth in rows from the top down. 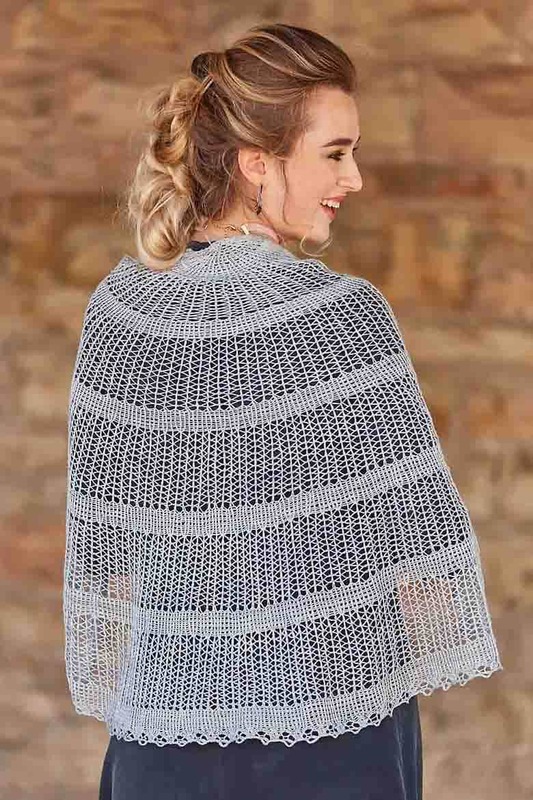 The post Crystal Palace Shawl in Knitting Traditions, 2017 appeared first on SweetGeorgia Yarns.